Becca Jaffe on the shores of the Monterey Peninsula. I am the LiMPETS intern based at The Pacific Grove Museum of Natural History. For those of you that don’t know, LiMPETS (Long-term Monitoring Program and Experiential Training for Students) is a unique program that combines citizen science and environmental education for students and community members in California’s National Marine Sanctuaries. In 2011, the Museum began coordinating LiMPETS for the Monterey Bay National Marine Sanctuary. My LiMPETS internship is a requirement of my Master of Science degree in Marine Biology from Northeastern University. In addition to the six month internship, my degree involves a written paper based on a project completed during the internship. My project focuses on LiMPETS and answers the question: “To what extent does participation in the LiMPETS program improve positive environmental attitudes?” Ann Wasser, my mentor and the Museum’s Education Director, along with Emily Gottlieb, the Museum’s LiMPETS Coordinator, and members of the community helped develop student surveys designed to answer that question. I used these surveys to analyze if attitudes towards the environment changed after their LiMPETS monitoring experience. As the LiMPETS intern, my role includes assisting with teacher workshops, student trainings (where students learn about LiMPETS and how they will monitor the coastal ecosystems), and assisting in the field with rocky intertidal and sandy beach monitoring. Working with LiMPETS has been an extraordinary experience. 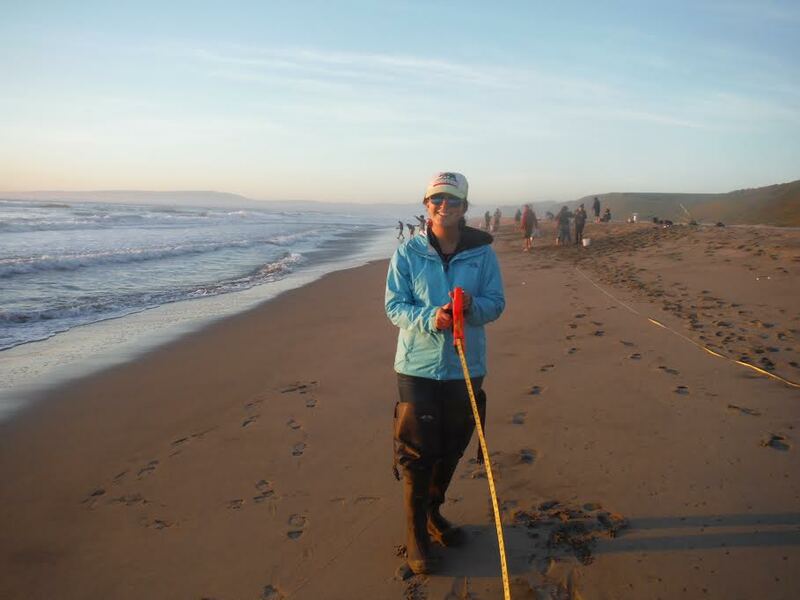 I have grown as a naturalist and as an educator - learning more about the species found in tide pools in the Central Coast - while simultaneously gaining experience working with college-aged and adult groups. During my time at the Museum, I have had a chance speak with everyone and enjoyed working for a non-profit with both transparency and excellent communication between the director, Jeanette Kihs, and Museum staff. One of the things I will miss most are the staff meetings. There’s something about seeing everyone building this organization, and continuing to improve it, in one room that I find incredibly inspiring. Every meeting was an opportunity for me to learn more about the community supporting the Museum. The notion of collaboration between an organization and the community is a principle component of both the Pacific Grove Museum of Natural History and LiMPETS. Connecting people to both the history of their natural surroundings and monitoring current trends of their environment is essential for fostering sustainable practices within the community. My internship with the Museum officially ends Friday, December 4th. I will miss the Museum staff and I appreciate all they, and the surrounding community, have taught me during my time here in Pacific Grove.